In 605 BC, Jerusalem was conquered by the Babylonians and its best young men were taken into captivity to serve King Nebuchadnezzar. Among them was Daniel who quickly rises to high office in the Court. But jealous rivals condemn him to death, and with the King unable to save him he is thrown into the lion's den to meet his fate. The Book Of Daniel tells one of the most famous, and inspiring stories from the Bible. The Book Of Daniel was published by High Fliers in May 2018 and is our 1165th best seller. The ISBN for The Book Of Daniel is 5022153104485. This is not one of them. The acting is wooden and it relies on overly long speech which is trying to make the point all the time. It was so bad, I had to stop it after 15 minutes to prevent me grinding my teeth to nothing. It was a very helpful dvd. 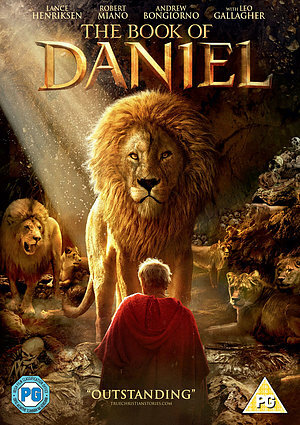 I watched it in the evening and I found it very clear and concise and helped me understand about the book of Daniel and where all the periods of kings and times fit together. Also it really did bring the power of the book of Daniel alive watching it acted out especially imagining their fear of the fire and the fear of Daniel must of felt going in the LIon's Den but showing God was with him. I hope that helps. This film is excellent. No need for any other words. Worth watching. Got a question? No problem! Just click here to ask us about The Book Of Daniel.